We send out a variety of newsletters about Salt Lake and weekly updates to our blogs, The Salt Lake Scene and Ski City&apos;s The Lift. If you&apos;d like to join our email list, please fill out the information below and select the newsletters you want to receive. Yes, Please add me to the email newsletter subscriptions selected below. We send out five distinct newsletters with curated information about Salt Lake along with 3 feed subscriptions to news and blog updates. Please select the ones you are interested in receiving. Featuring travel tips, news about Salt Lake's events, attractions, restaurants, special offers, and more. Sent monthly. Visit Salt Lake's blog subscription, get weekly updates with the latest blog articles. Featuring Salt Lake news, snow reports, ski tips, and info about the resorts: Alta, Brighton, Snowbird, and Solitude. Sent monthly (weekly during the ski season). 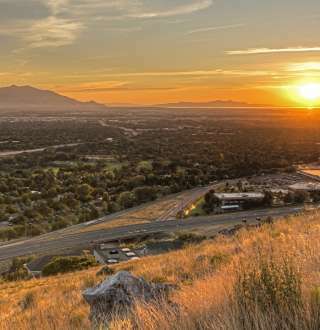 Featuring hotel occupancy forecasts, upcoming conventions, information about Visit Salt Lake's impact on the Salt Lake economy, and important updates for Visit Salt Lake's members. For meeting professionals, featuring Salt Lake convention center, venue, destination, and hotel industry news. Sent monthly. For sports meeting organizers, featuring updates and information on sports events and venues in Salt Lake. Sent monthly.